Features 3 color-coded, buildable puzzles: a bird, cat and a dog. 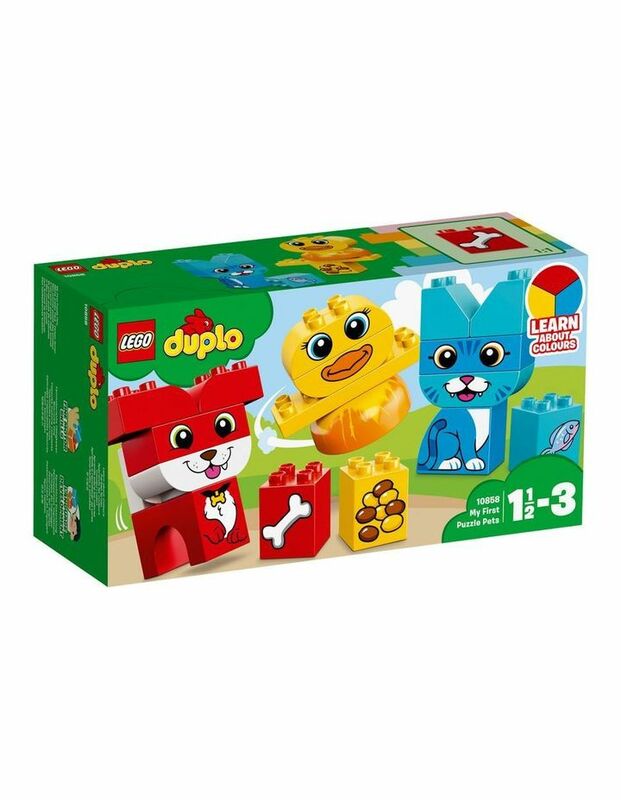 Includes bricks decorated as food for each pet as play starters. Help your child master basic building skills with these simple puzzles. Have fun together as your child learns how to recognize and sort colors, then match the food to each animal. Inspire imagination with this versatile toy as toddlers make up their own stories with the cute pets. Makes an ideal gift for preschool children. 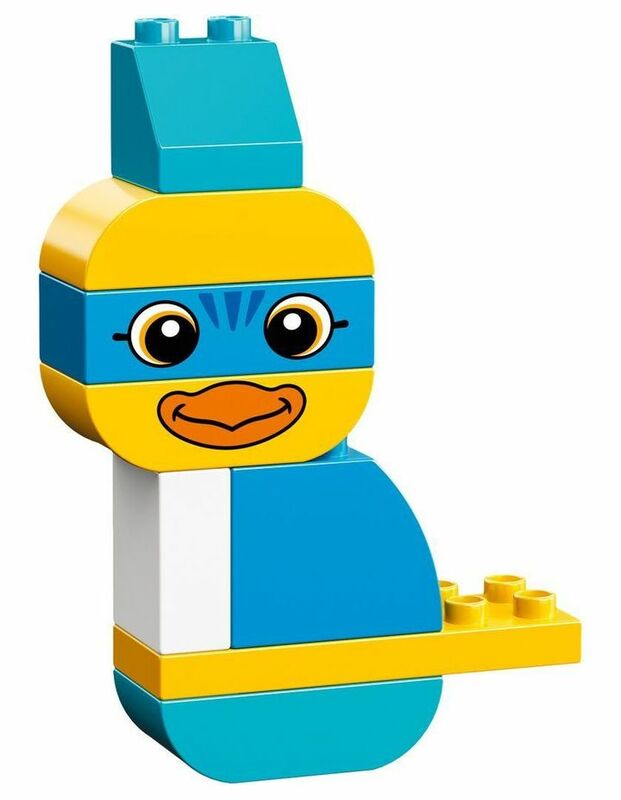 LEGO DUPLO products are specially designed to be fun and easy for small hands. 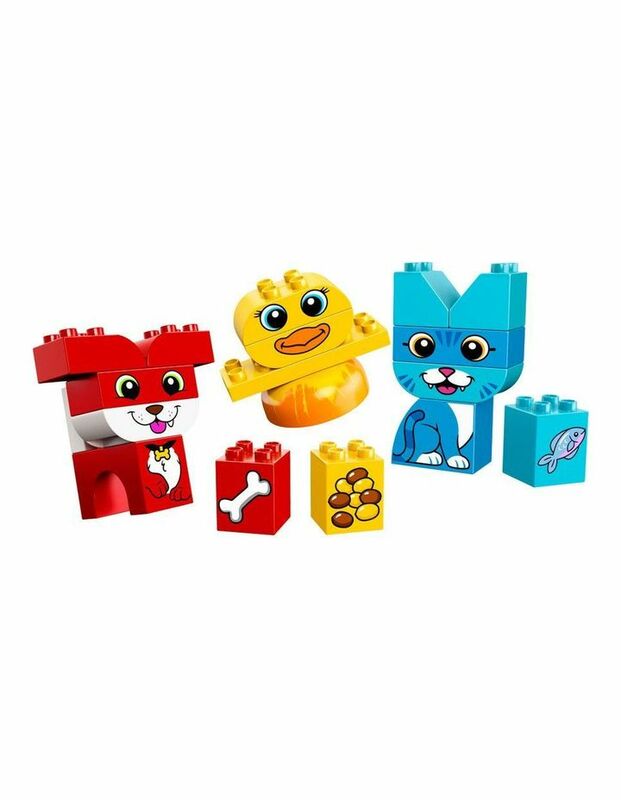 This set of baby bricks is suitable for ages 1-3. Yellow bird measures over 3 (8cm) high, 3 (9cm) wide and 2 (6cm) deep. Blue cat measures over 4 (11cm) high, 2 (6cm) wide and 1 (3cm) deep. Red dog measures over 3 (10cm) high, 3 (9cm) wide and 2 (6cm) deep.